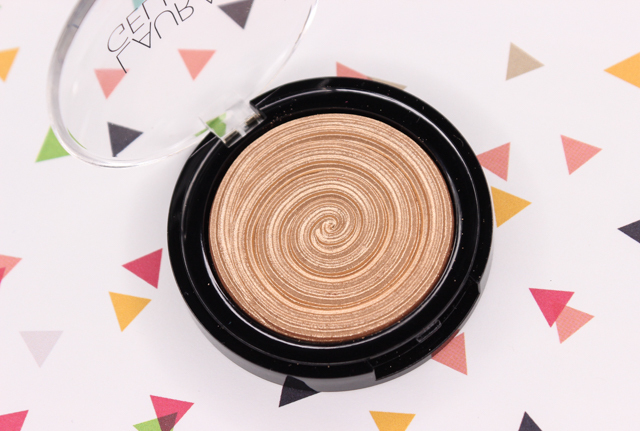 Laura Geller's Baked Gelato Swirl Illuminator in Gilded Honey has quickly become one of my top favorite highlighters. This warm gold beauty imparts the prettiest, lit-from-within glow on the face that I can't get enough of. Gilded Honey really is as lovely as everyone says it is. 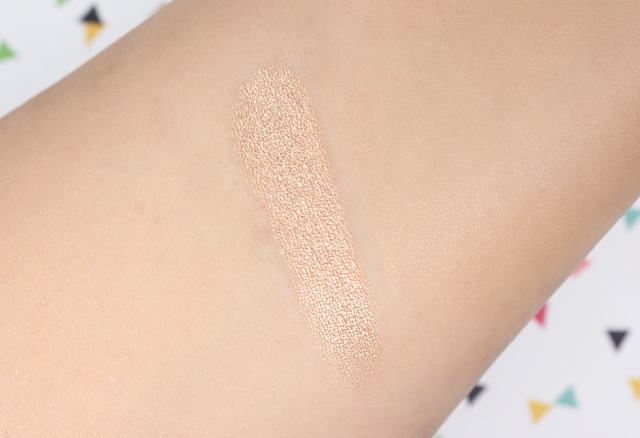 This long-wearing illuminator is a comprised of a hybrid texture that goes on like a powder, and feels like a cream. It's amazingly smooth to the touch, and it blends effortlessly onto the skin. The intensity of the highlighter is easily buildable, and since the finish is always so natural looking there is no need to worry about over doing it or being heavy handed. I find that the compact packaging feels a little flimsy. I would definitely be scared to drop it, for fear of the powder shattering. But I do like the small size and how lightweight it is, making it the perfect travel companion. I love the 3-D gelato-inspired swirl design on the powder. So fun! 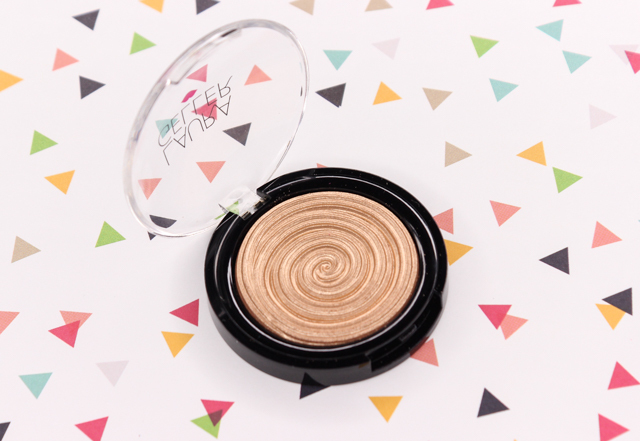 Laura Geller's Baked Gelato Swirl Illuminator in Gilded Honey definitely ticks all the boxes for me when it comes to highlighters, and I think many will enjoy it. Not only is the color beautiful, but it's a high quality product that performs really well and makes for the perfect finishing touch to any makeup look. Just a dab of Gilded Honey on the high points of the face like the top of cheeks, tip of nose, and cupid's bow is all you need for that natural looking, luminous effect. If warm gold highlighters aren't your thing though, there are three other gorgeous Baked Gelato Swirl Illuminators in the lineup that look just as stunning as Gilded Honey. I have my eye on Peach Glow. 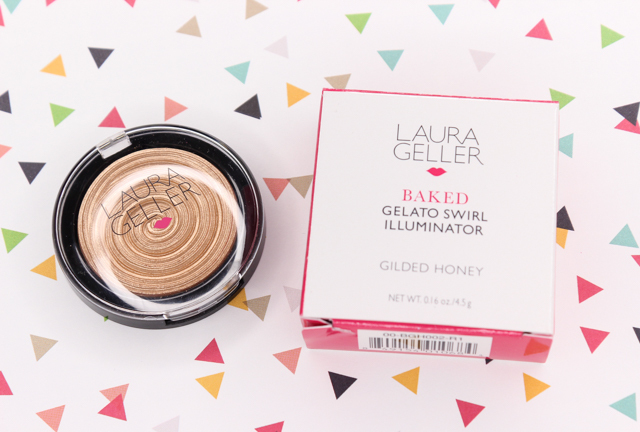 What do you all think of Laura Geller's Baked Gelato Swirl Illuminator in Gilded Honey? Which are your current favorite highlighters?